Over the recent years, there has been a clear shift in consumer consumption preference when it comes to devices. Mobile is now dominating the digital landscape in the United States measured by total usage time. According to a mobile app report published by comScore, consumer digital media usage in the United States is led by smartphone apps. 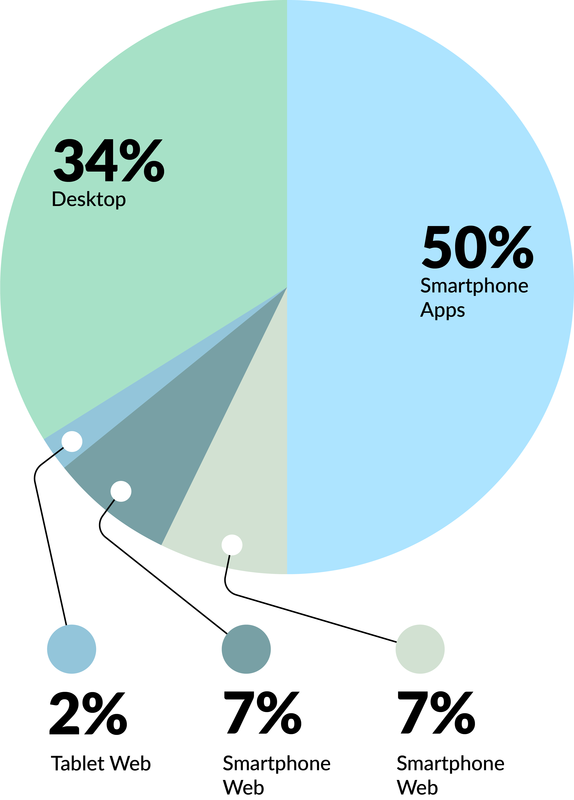 Mobile App usage represents 50% of total digital media usage, followed by Desktop at 34%, Tablet Apps and Mobile Web tied at 7% respectively, and Table Web takes the last place at 2%. 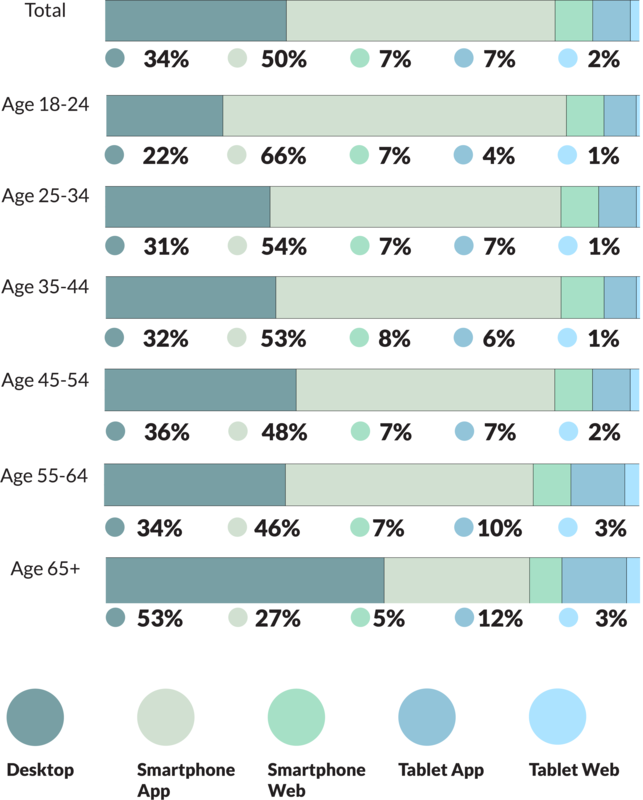 Mobile app usage is strong and increasing across all age groups, and it spans the older generations, not just millennials. In fact, in all age groups from 18 to 64 years old, mobile apps represent the platform with the most consumer consumption. The only exception is folks over 64 years old who still prefer Desktop over Mobile Apps. The strong year-over-year rise in mobile app usage has led to an increased interest for developers to develop mobile-only solutions in the form of apps. The barrier of entry for developers to create for the mobile platform has been lower than ever. Today, developer online forums like StackOverflow and code-sharing communities like Github which was recently acquired by Microsoft for $7.5 billion USD, make it easier than ever for developers to get a head start with limited resources. In the battle for attention and market share in their respective industries, developers have flocked to create on platforms like the Google Play Console for Android developers, the Apple Developer Program for IOS developers, and Facebook for developers for the Facebook ecosystem. 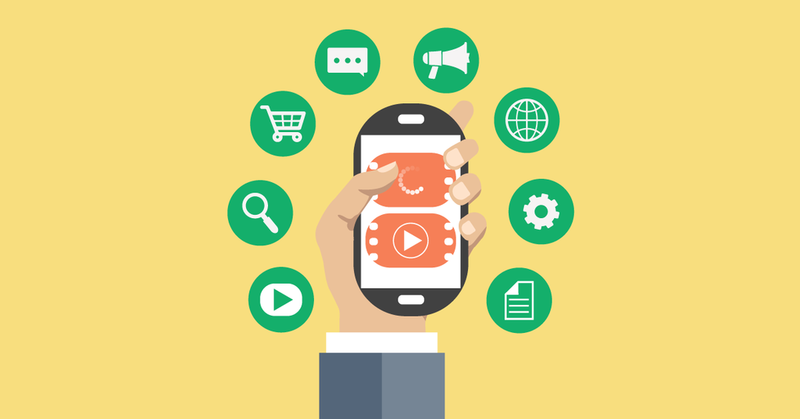 But with so many options in the mobile app marketplace, where’s all this consumer attention going? I wrote about the top 10 mobile apps by app audience market share and who is dominating the marketplace in another blog. The truth is your business can leverage all this consumer attention when you discover the secret to doing so without even having to increase your ad spend. The secret is revealed in my ebook which you can get today for free. P.S. Want to learn how ReplyBuy enables businesses to leverage consumer attention? Yes, I Want To Get Started Now. Josue Sanchez is the Head of Growth at ReplyBuy. When he’s not growing, he’s encouraging and empowering others to grow. You can often find him listening, studying, observing, and analyzing people to find out what they like and love, and how they think.